Almost half-jokingly, I asked where Todd Radom’s “Winning Ugly” was, and of course, he had it on another shelf. But I also noticed at the bottom right of that photo there was a big blue book tucked away with the words “NEIL LEIFER” on the spine. Now, I’m sure most of you are familiar with Neil Leifer — the photographer who in my opinion has taken the most iconic photograph of the past century — from the famous Ali/Liston bout in 1965 (for more about that photograph, click here). Anyway, I chatted briefly with @BeautyOfAGame, whose real name is Jimmy Parker, about the book (as it’s not currently in my own sports book library), and if he’d like to pull a few images from that for a little review on UW. Jimmy happily obliged. Thankfully Jimmy was able to put this together for me as I feel like I’ve been at death’s door for the past week. Please click on each photo to enlarge. It’s been said that a picture is worth a thousand words. Which would make Ballet In The Dirt over 300,000 of the most beautiful words ever written about the game of baseball. Collecting some of the best shots from legendary sports photographer Neil Leifer, Ballet In The Dirt offers a look at memorable moments, players and uniforms of the National Pastime. Leifer began taking photos as a hobby in his pre-teen years and made his first sale to Sports Illustrated on his 16th birthday. By the age of 19, he’d landed the first of his 170 SI cover shots. An excellent glimpse into being a baseball fan in the 1950s. The intimacy of the Ebbets Field stands, the gentle slope of the outfield wall and the ads on it, even the concessions vendor’s attire, Leifer shows us what it’s like to be a fan during baseball’s “golden age.” It’s interesting to note that at this time Leifer himself was still only a fan, in his teens but already making a name for himself through his photography. Section headers in the book are given a vintage uniform look by utilizing a pinstripe pattern and custom embroidery. Red section name and navy blue chapter number are beautifully laid out within a gold baseball diamond. Leifer uses strobe lights to capture Pirates hurler Elroy Face throughout his delivery. 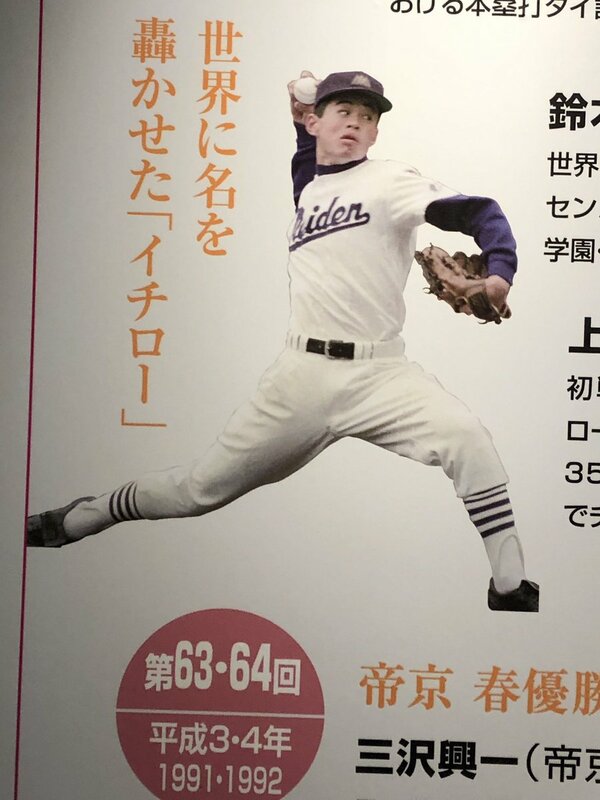 The rapid firing of the strobe lights allow Leifer to suspend time and show Face at various points in his pitching motion, while also showing off one of the classic uniforms of the time, the button front vests of the 1960 Pirates. That timeless cap. Those long blue stirrups. The Cub on one shoulder sleeve, the MLB centennial patch on the other. Is there anything NOT to love about this shot of Ernie Banks gliding off first base to snag a grounder? Always one to try new techniques, in 1965 Leifer put a camera underneath Dodger Stadium’s second base bag, clicking the shutter via remote. In the resulting iconic shot, the second baseman’s shoe and the Dodger Stadium stands seem to frame Dodger Willie Davis, beginning his slide into second. The Cardinals uniforms all hanging so perfectly in their lockers. The players themselves in a variety of hair and clothing styles, while the manager sits in uniform. If there was ever a photo that symbolized the state of baseball in the 1960s beginning to evolve into the free wheeling 1970s, this is probably it. A triumphant Hank Aaron holds up the ball he hit for his record-setting 715th home run. This Sports Illustrated cover shot features the classic uniform that Aaron helped Braves art director Wayland Moore design. A bewildered Willie Mays pulls Dodger catcher John Roseboro from the melee that resulted from Juan Marichal’s bludgeoning with a bat. Roseboro, blood splattered on his chest protector, wipes his forehead in confusion. Capping off his 1967 Triple Crown season, Carl Yastrzemski launches a home run in World Series Game Two. Yaz’s swing with no batting gloves. St. Louis Cardinals catcher Tim McCarver with just a cap beneath his catcher’s mask. The home plate umpire crouching behind a balloon style chest protector. So many beautiful little things in the shot that all add up to a classic. Dodgers pitcher Don Drysdale walks off the field with catcher John Roseboro and third baseman Jim Gilliam. The slight brown dirt on those classic white Dodger home uniforms. The beautiful green grass and blue sky of Dodger Stadium. There’s good reason this shot is the one chosen for the book’s cover. All those combinations of white, yellow and kelley green uniforms. The hat the manager has is different from the players. At first glance, it’s hard to tell if this is a baseball celebration or a fight. There may be no better shot to illustrate Charley Finley’s Oakland A’s winning the first of their 3 straight World Series. Thanks, Jimmy — great stuff! I don’t yet own this book, but I will definitely try to add it to my library in the near future. 87 strikeouts. That was Charles Radbourn’s total for the 1887 season. It was the first time in his career that he had not managed to crack triple digits. He would never do so again. By all accounts, he had a decent year, going 24-23. However, the game was changing. In the pitcher’s box, where ‘Hoss’ took full advantage of every inch to intensify his delivery, 18 inches of space were now gone – effectively pushing him further from the plate and the batter. Also, that year and that year only, four strikes were required to retire a batter. Old Hoss was starting to show signs of aging. Or at least, his arm was. In the first seven years of his career, he amassed 3,481 innings. However, in 1887, had his lowest total since his rookie campaign. And in that first year, Radbourn had the excuse of only starting 36 contests. In 1887, he had started 50. It was odd to think that only three years before, Hoss had been the most outstanding pitcher in the game. His bravery and stamina all but saved the Providence Grays from mediocrity in the middle of the 1884 season. After the pugnacious pitcher Charlie Sweeney drunkenly left the team on July 22, it was thought that the franchise could not survive. The club ownership had threatened that if the team did not win the pennant that year, they would be disbanded. However, Radbourn offered to start every single game for the rest of the season in exchange for exemption from the reserve clause for the next season, making him a free agent. Also, he was to receive a hefty pay raise, enough to pay two regular pitchers. He was also given an extra $1,000, as Providence feared that he was considering jumping ship and playing in the Union Association. That year, he made upwards of $5,000. The next two months saw Providence playing forty-three games, with Hoss starting forty of them. Out of those forty, Radbourn won thirty-six. Toward the end of that span, his arm became so sore he could not even raise it to comb his hair. On game day he would be at the ballpark hours before the starting time. He would begin his warm up by throwing just a few feet, increasing the distance gradually until he was pitching from second base and finally from short centerfield. Providence won the pennant by 10.5 games over Boston. The Grays played the American Association champion New York Metropolitans in the 1884 World Series – the first of its kind. Radbourn started each game of the series and won all three. In twenty-two innings, he struck out seventeen, allowed only seventeen hits, and had no walks. That year was to be the main focus of Radbourn’s career. He took the mound in seventy-five different games, starting seventy-three of them and finishing every single one. He pitched eleven shut outs, which was one of his few figures that did not lead the league. In 678 2/3 innings, he struck out 441 batters and posted a minuscule 1.38 ERA – less than half the league average. Hoss actually ceded fewer combined hits and walks than innings pitched. Winning more than 83% of his decisions, he went 59-12 that season. His success in ’84 and his commitment to take the mound virtually everyday after July 22nd marked his campaign as perhaps the finest that any pitcher had ever entered into the record books. Unfortunately, the wear and tear from his efforts had a lasting consequence to the health of his right arm and his subsequent efficiency. Though a reluctant Radbourn would eventually return for the 1888 season, it would not be until 1889 that he seemed to regain some of his old form, posting a 20-11 record in a slightly less workman-like year. Though contributing 277 innings to complement Boston’s new star hurler John Clarkson, his Beaneaters fell one game short of winning the pennant that season. And when he joined the Boston Reds of the Players’ League the following year – mainly to contribute to the league effort of breaking management’s control over the game – he pitched the team to the pennant, winning twenty-seven and losing twelve. His .692 winning percentage led the league that year. Here’s my latest attempt to bring green back to New Jersey full time. I removed the circle from the NJ crest so it could reverse out for the red jersey. Added a shoulder patch that I designed for a previous contest, and made the red phantom striping symmetrical on the sleeves. The striping on the breezers is a nod to the Rockies. Lastly, as seen here, I’m selling the modern trend of ditching the hem stripe. Who thinks we need to bring back ringer tees? I can’t be the only one, right? Baseball News: Bryce Harper was wearing Philly Phanatic socks during Thursday’s Spring Training game (from Blake Fox). 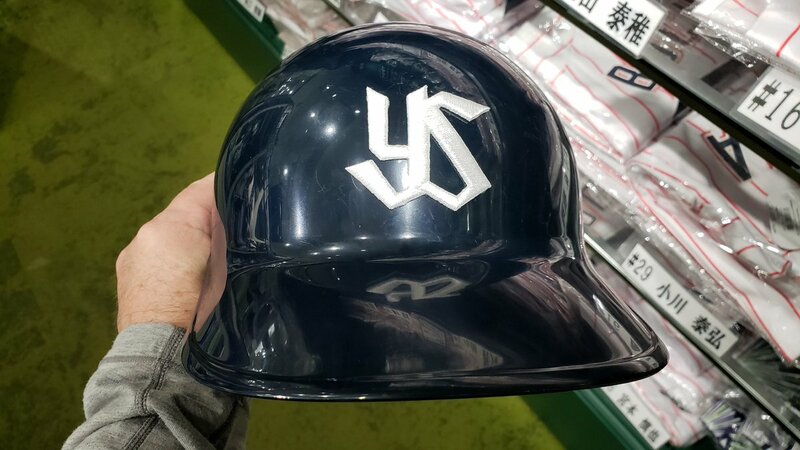 … The replica batting helmets at the official Yakult Swallows team store feature a raised, embroidered decal (from @TwoStrikeNoise). 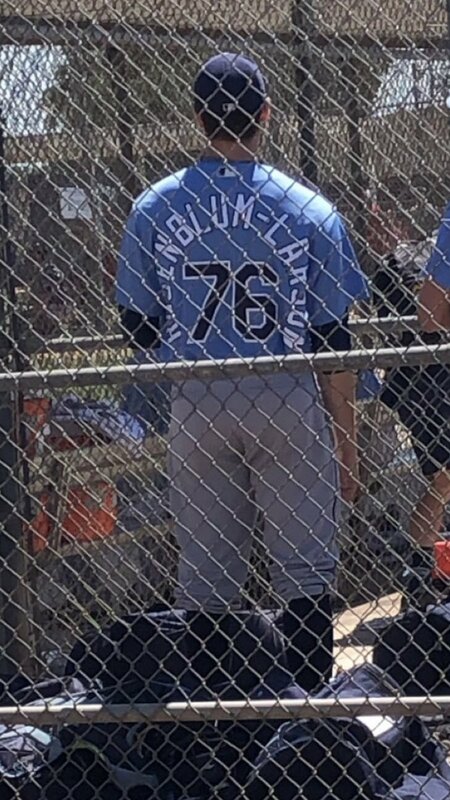 … Rays prospect Simon Rosenblum-Larson has a ridiculous/amazing NOB (from @GRBRays). … Rangers prospect Tyler Depreta-Johnson eschews having his NOB go all the way to his kidneys, by instead having it extend onto his sleeves. Rare to see in baseball (from @JWJW1174). … The Braves have revealed some of the gorgeous posters they’re featuring for their Art in the Park series (from Jeremy Poursine). … Not uni related, but too entertaining not to post: Nationals P Sean Doolittle posted a Twitter thread detailing some of the best old-timey baseball player nicknames (from @bryanwdc). … New helmet decals for Mizzou (from Kate Sutter). … Camo cap last night for Bama (from Griffin T. Smith). … UNLV wore custom, Vegas-themed batting gloves last night (from @damarkts). … Very similar shades of maroon for yesterday’s color-vs-color St. Bonaventure-Fordham game (from Ryan Hammonds). … Arkansas softball went GFGS (from Derek Brownlee). 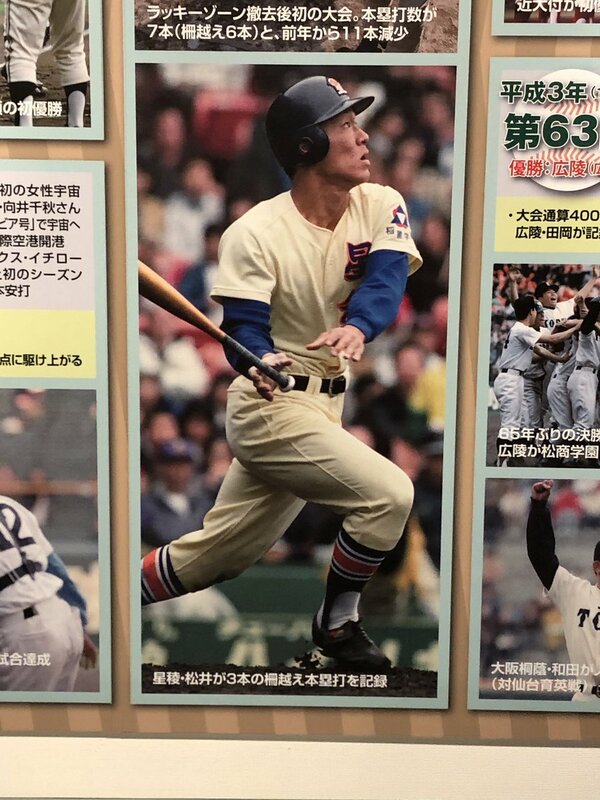 … Here are photo of Ichiro pitching and Hideki Matsui hitting in high school while wearing some pretty nice striped stirrups (from Rod Blunck). NFL News: ESPN has a rundown of some of the things athletes have done to get a uni number from a teammate (from Mike Chamernik and Brinke). … The Browns’ 2019 season ticket holder gift includes a pair of socks in the team’s old stripe pattern. Hmm (from @JMLedgewood). … The Niners’ SBNation blog is holding a poll on which look the team should bring back (thanks, Brinke). 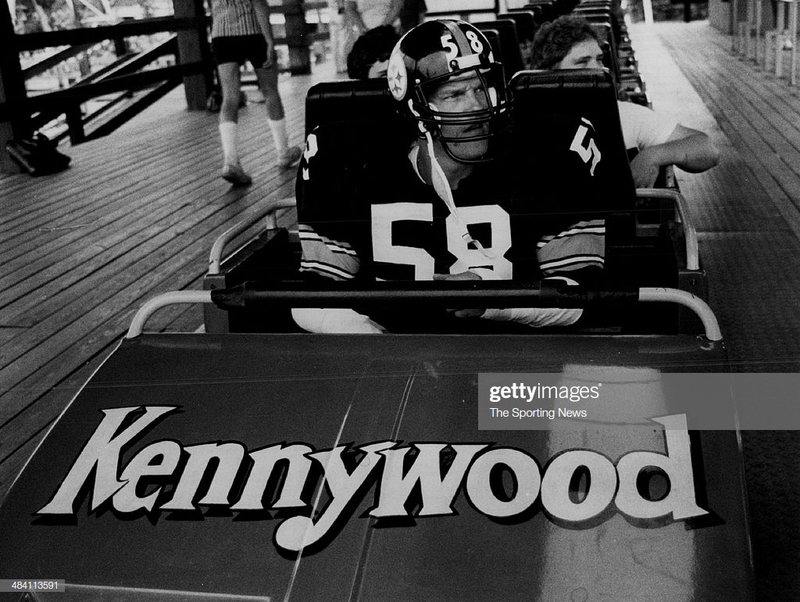 … “You might be cool, but you’ll never be Jack Lambert on a roller coaster in full uniform cool,” says Gene Sanny. College/High School Football News: Oregon State will reveal how Nikefied their identity will become on April 20 (from Joe MacQuarrie). 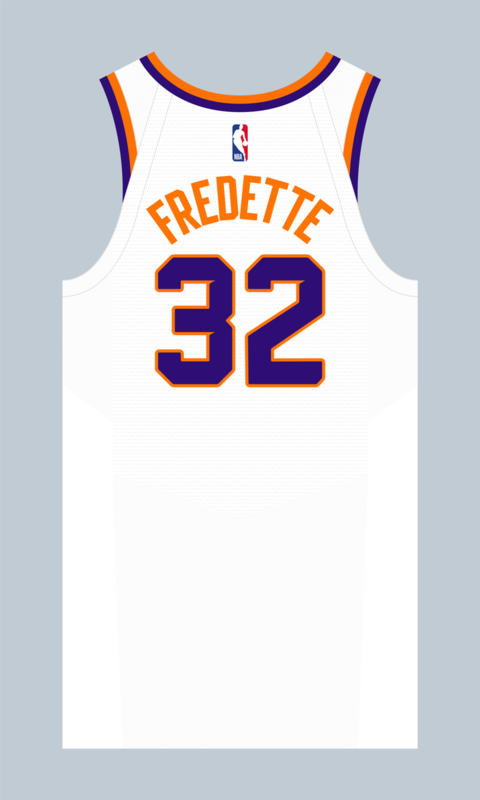 NBA & College Hoops News: Jimmer Fredette will wear No. 32 for the Suns (from Etienne Catalan). 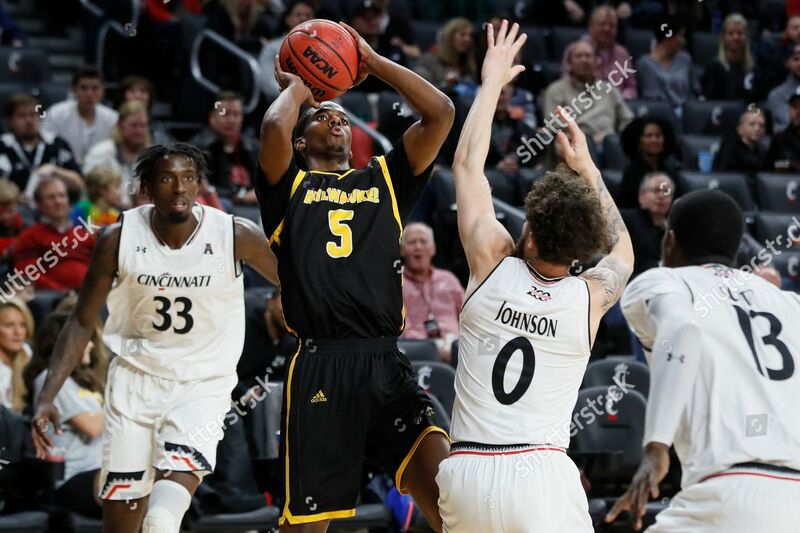 … Tim LaDuca noticed that Cincinnati guard Justin Jenifer has a bigger J and smaller “enifer” on his NOB, while his teammates all have NOB lettering the same size. 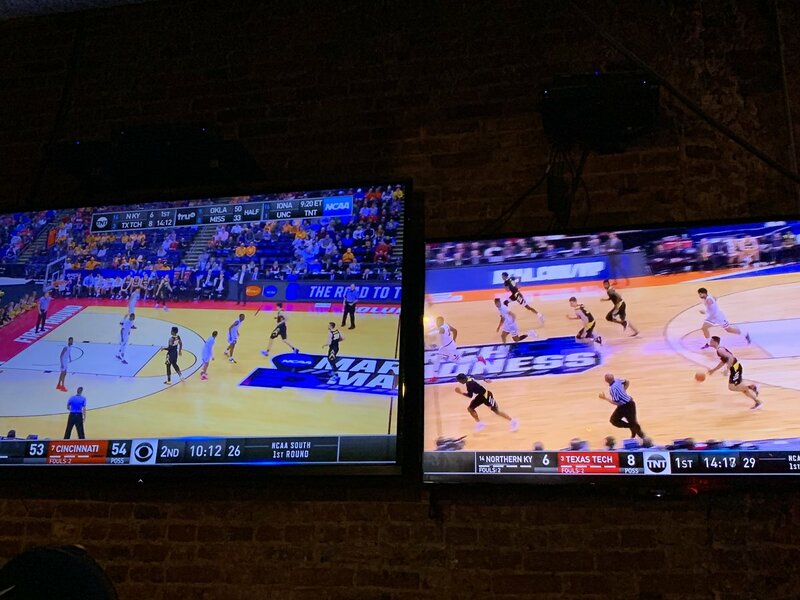 … Speaking of the Bearcats, their matchup against Iowa was almost identical to the Texas Tech-Northern Kentucky game going on at the same time (from Brent Schwartz). … Arizona State equipment tweeted out a photo of the NCAA uniform regulations posters that are no doubt up all over the arenas hosting March Madness (from Ted Jones). Soccer News: New kits for the Botswana national team (from Ed Żelaski). … Blake Pass found a poster for MLS’s uniform code during a tour of Mercedes-Benz Stadium. … The latest episode of the BT Sport webseries What I Wore series is out on Twitter, featuring Real Madrid and Wales forward Gareth Bale (from David Schucosky). Grab Bag: BYUTV has a new logo (from Jim Vilk). … Deadspin has an interesting article on “vaportecture” — the stadium design renderings that end up looking nothing like the actual stadium (from our own Alex Hider). … New helmets for Army lacrosse. … Golfer Thomas Pieters is trying to sell ad space on his golf bag (from Michael Brighton). … Last week at the Indianapolis supercross Chad Reed ran custom birthday graphics with his wife and children’s personal messages on them. Chad is a two time champion and oldest rider currently competing (from John Flory). … Here’s a cool animated history of the growth/expansion of the NHL including franchise movement AND logo changes (from Ben Conover). 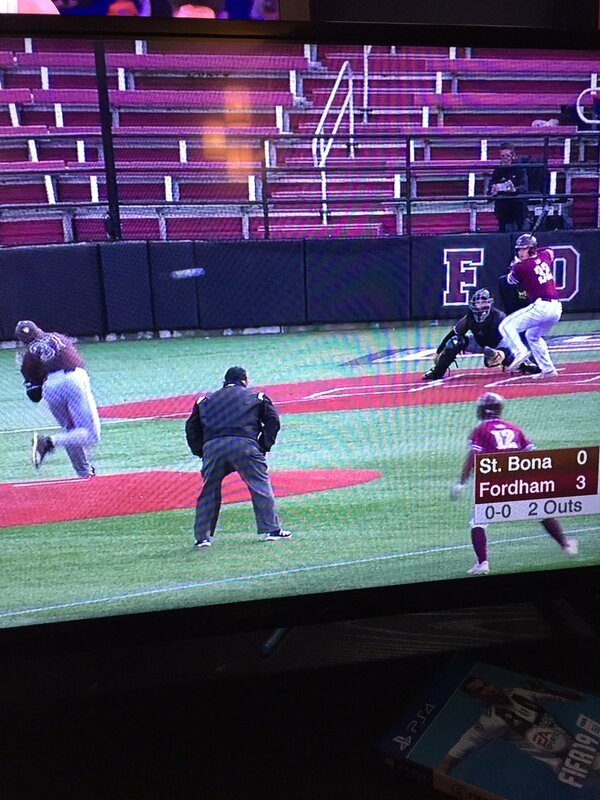 The St. Bonaventure v. Fordham game did not feature two teams wearing maroon. Rather, it was Fordham in maroon and St. Bonaventure in brown, though it’s hard to tell the difference in the photo. I can’t figure out the story behind those Mizzou decals…it seems like their teams got suspended from the postseason and they’re mad about it? But can anyone epxplain where the sense that they’ve been wronged and -that the NCAA needs to address some miscarriage of justice comes from? My hard copy of SI came yesterday. Cool to see Paul’s by line in the magazine. There is also another Leifer photo book called “Guts and Glory” which features his football pics. Both books are great. Re: flocking on the batting helmets in the Hank Aaron photo. The reason I do not mind matte batting helmets is they have a look that is a nod to the old flocked helmets, with the lack of shine. This Great Game, published in 1971, is another book filled with wonderful full-color images from baseball in that era. The Pirates did not have numbers on the front of their jerseys (home or away) in 1960. 1962 and onward they did. You are correct. Guess I was nit-picking by making my original point – the photos of Elroy Face, above, pointed out, incorrectly, that he was photographed in a 1960 uniform. Love this era of baseball. Sure it was when I was a kid, 10 in 1968, but it was also when baseball was fully integrated. I grew up in Southern California in Long Beach, which was good for going to both Dodgers and Angels games. My first memory of being at a baseball game was watching Willie Mays hit a home run off Sandy Koufax. I was a Dodgers fan, but Willie Mays was my favorite player, and Koufax my favorite pictcher. And oh yeah, the uniforms were at their best. When I saw that my first thought was the World Book encyclopedia. Speaking of…know anyone who would like fifty years of World Book Year Books? Saw that during the game. The J should hang below the line. UVA uses a similar font and the tail of the J hangs lower than the other letters. Alternatively, they should stop making custom fonts for each school. Those NCAA rules flip between really picky and a bit loose – the number rules are particularly strange. They have to be centered (which is a shame as I quite like an asymmetric design) and can only have a 1/2” outline (which seems quite thick) but the only size specification is that they can be read “from a significant distance” and by a variety of people which seems a bit arbitrary. John, sorry for the late reply, but about the ringer shirts, ABSOLUTELY!!!! That and the three quarter sleeve baseball shirt with the colored sleeve. I’ve been tinkering with heat pressing some shifts with logos I love since I’m getting a little to large for some old shirts, maybe I’ll have to turn this into a DIY post to share. I definitely think that ringer shirts would be a cool idea.